Political visionary, human rights leader, preacher, scholar, martyr, Martin Luther King Jr. remains one of the most fascinating and significant historical figures. Now, Charles Johnson, a National Book Award-winning novelist, uses his keen insight into the end of the King years to produce a work of historical fiction that dares to change the very nature of the genre. 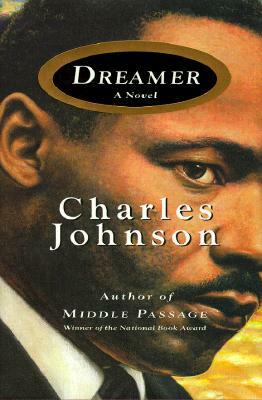 Set against the racial turbulence of the Civil Rights era, "Dreamer" is the first work of fiction to explore King's life. Yet the story, told by Mattew Bishop, one of King's devoted followers, is also a tale of doubles, warring brothers, envy, and inequality. The novel introduces us to Chaym Smith, a man whose startling physical resemblance to King wins him the job of official stand-in. In the course of training Chaym to shield King from danger, Matthew comes to realize the philosophical magnitude of our greatest civil rights leader and the ambiguities within the Movement itself, and he--and we--are irreversibly changed. What makes one man great and the other just a mirror for greatness? What does it mean to be of African American descent in America? What does it take to change to face of a country forever? "Dreamer" is a magisterial homage to the man who answered those questions for us. Readers will come away from this astonishing, mulitlayered novel with a knowledge of King, not only as a triumphant political leader, but as a father, husband, friend--and man. "Dreamer" is a dramatic tour de force that is personal, profound, and deeply inspiring. Author Name: Johnson, Charles A. Edition: First Edition. Autographed copy! Description: First Edition. Signed by the author on the title page. A bright clean copy.